Along with helpful youtube videos, my first crochet creations were guided by a good book for beginners: Kyuuto! 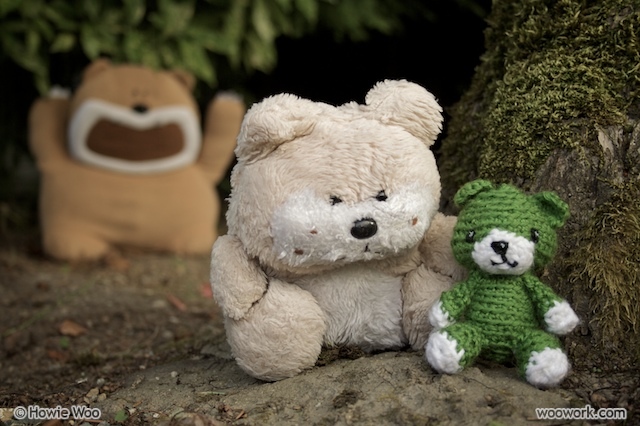 Japanese Crafts: Amigurumi by Tomoko Takamori. 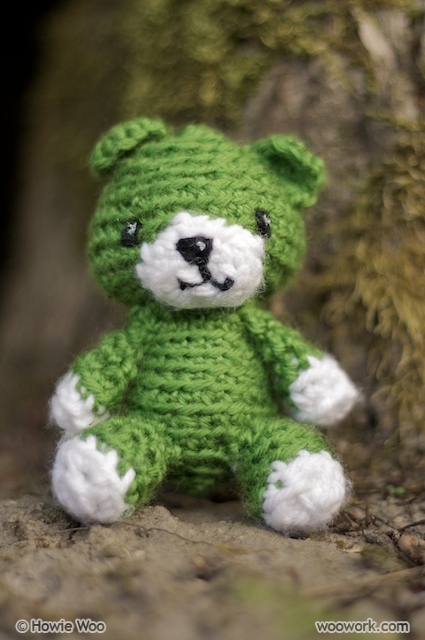 I followed her pattern for a tiny bear, and chose green yarn because I only had three yarn colours at the time. 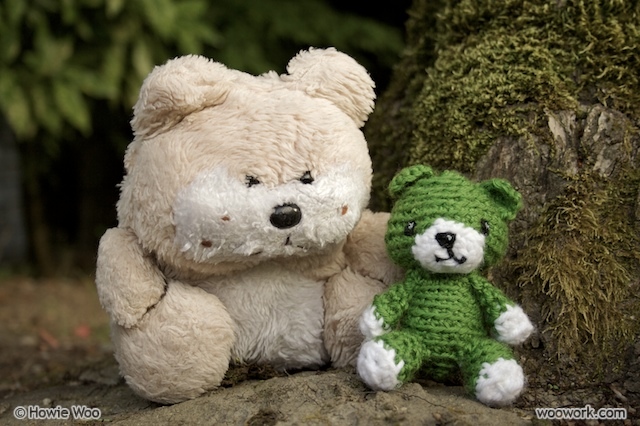 I struggled to complete the bear's separate pieces (body, head, arms, legs and ears), and was discouraged when I ended up with green lumps of yarn. But as I stitched those little limbs together (using a tapestry needle), the thrill of seeing a smiling bear come to life was memorable and addictive. It's amazing how much personality we can lend to these little lumps and amazing how much personality they can hold.